600 pages | 13 Color Illus. | 59 B/W Illus. 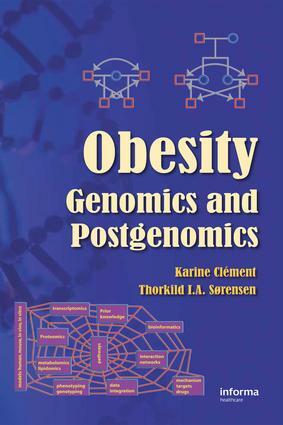 This book comprehensively accounts the current understanding of genetic mechanisms of obesity by analyzing obesity phenotypes and genotypes and, gene polymorphisms and mutations, and current results from animal model research and genetic studies in human models. By presenting the impact of genetic factors in the development of obesity and key molecules related to the pathophysiology of the disease, this source hopes to pinpoint new pathways for the prevention and management of obesity in various populations. Obesity Phenotypes. Genetic Epidemiology: The Past and the Future. Epigenetics and Obesity Development. Monogenic Obesities in Animal Models. Monogenic Obesities in Human. Polygenic Obesities in Animal Models What Have Brought Animal Polygenic Models?